Family, Primrose. Calyx and corolla mostly 7-parted, sometimes 6. Leaves, whorled on the stem, just below the flowers, thin, veiny, lance-shaped, sessile. A few scale-like leaves below. May to July. 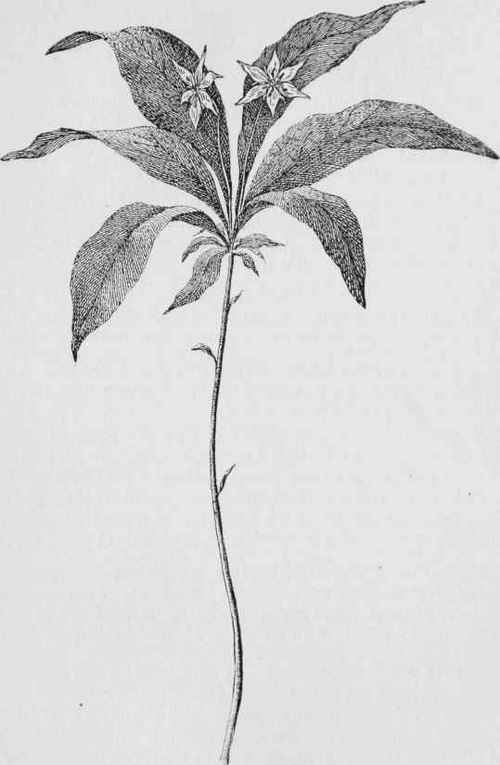 The plant grows by means of a slender rootstock about 2 feet long, from which the flower stem springs. In shaded woods, New England to Virginia and westward.